Being an overthinker is not easy by itself. 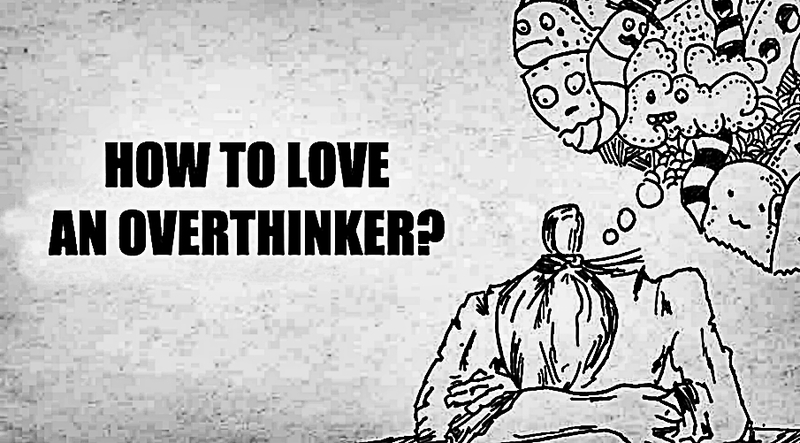 However, most people find loving an overthinker really hard. And I am not saying it’s easy. yeah, loving an overthinker can be a pain in the bottom. However, it’s worth it. Overthinkers are the most caring people in the world. They love honestly and would not hurt you on purpose. Most if not all overthinkers are loyal because they know you can’t really lie to someone else by hiding all the details. And most importantly, they are people, just like you, who deserve to be loved. So here are the 10 key ways in loving an overthinker. 1. Do not tell them to stop thinking. This will rather induce them to think more of what can happen and all the other crazy stuff. 2. Always be to the point with your words. Over thinkers analyze each and every thing so be honest and straightforward with them. 3. Stand true on your words. Your partner needs to know who you are to the core. Your partner needs to have full confidence in you. They will not feel secure around you until they have complete confidence in you. Over thinkers tend to think negatively thus optimistic approach from your side will help them a lot. Over thinkers are afraid of commitments, so give them enough time and space to function at their normal level. This way, they will trust you more. 7. Let them express their feelings. Give some chance to your partner to express their feelings. They will feel more settled. They notice all your small, small actions and appreciate good intentions. They themselves have a caring heart. 9. Don’t let irritation get the best of you. It is easy to get irritated when your partner needs continuous reassurance and comes up with infinite conspiracy theories but try to listen to them. 10. Give them more details. Your partner needs more details of everything. They want to know things in their entirety. Also, they are very punctual and want a schedule.